It is no secret that lawsuits take time. Initial investigations, discovery requests, and continuances can take years to complete. Most personal injury cases never even make it to trial. Instead, there is a settlement agreement before the trial commences. Deciding to take a settlement offer is a big decision. This is a decision that you must thoroughly discuss with your attorney. There are many considerations to take into account whether you should settle or not. It can take a year, or even multiple years, for your case to get a trial date. The time before the trial is spent conducting discovery. Discovery is the process where each side gathers the evidence they need to conduct their case. Each side will ask for documents pertaining to the accident, answers to questions in the form of interrogatories, and even for admissions to be made about certain facts. Discovery can take years to complete, depending on the complexity of the case. If you have time constraints or are looking for a quicker process to receive compensation, waiting for a trial might not be the ideal option. Your attorney will discuss the potential timeline of your case and help you decide if you would rather settle the case early or wait until trial. Another consideration is whether or not you are likely to receive a higher settlement amount at trial versus a settlement offer from the opposing side. If the other side offers a settlement, it is almost always likely to be a lower number than you were anticipating receiving from trial. The opposing counsel might try to settle, even if they have a solid case, in the interest of saving time and the costs associated with trial. Offering a settlement could cost less than going to trial. Often, you are pursuing legal action after an injury to pay for the added expenses that the injury has caused. 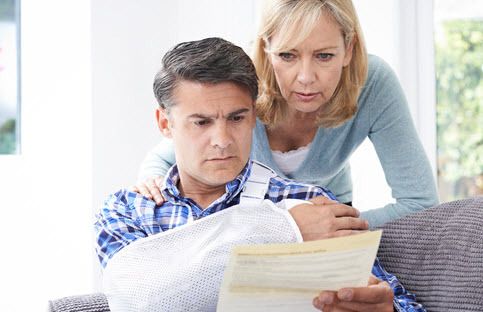 Medical bills start piling up and you need to be able to pay them and be prepared for the future. Not only are there present medical bills, but future payment for treatments. You need to make sure that the settlement amount is enough to pay for future consequences of the accident. In a personal injury case, generally you do not pay your attorney anything unless there is a monetary award. At the outset of the attorney-client relationship, you and your attorney will come to an agreement on the percentage of the award that will be paid to your attorney, a contingency fee. In Florida, after an answer is filed, or arbitrators are appointed, your attorney can recover 40% of your award, up to $1 million. Before the filing an answer, you attorney can only collect 33 1/3% of the judgment, up to $1 million. If you are considering settling a personal injury claim, the Leifer Law Firm can help you. Our experienced personal injury attorneys will talk you through your options and the consequences of settling a case or going to trial. Reach out to us today for help.